With the recent break of trend of the A/D line last Monday, the next window for a tradable low is now in early August. Edited by Chilidawgz, 09 July 2018 - 02:56 AM. Very good call Fib, so a tradable low should be coming soon now. 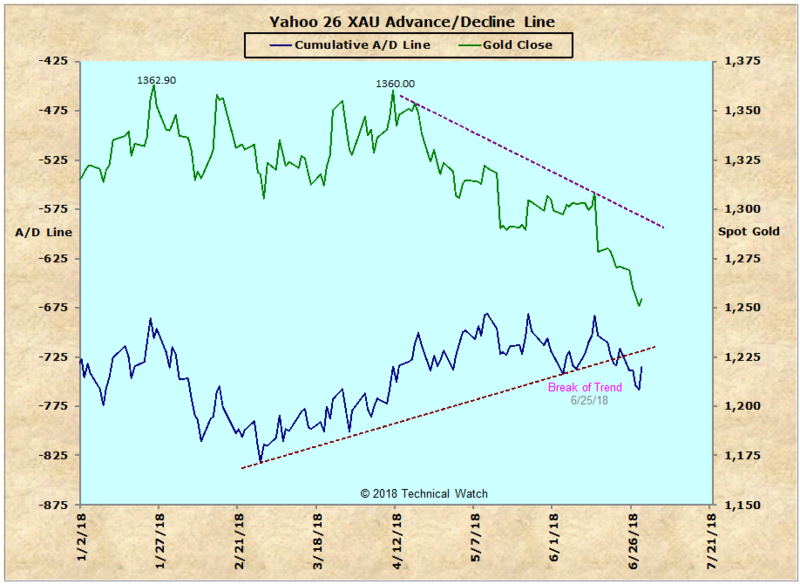 There is some divergence in the new highs new lows for the gold stocks now.